Troy Jackson gave Treasurer’s Report. Tony Tiger motioned to approve Treasurer’s Report. Artists participating in 2013 SEASAM show (Troy Jackson, Katherine Rackliff, Sharon Irla) each gave an overall favorable review of their experiences at the art show and market. 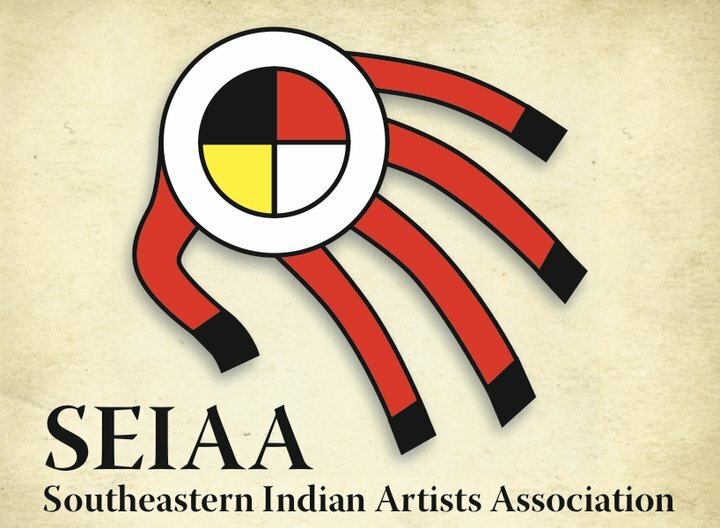 Congratulations to SEIAA Treasurer Troy Jackson, who won Best in Show, SEIAA Secretary Sharon Irla, Best in Category, Painting, and Lisa Rutherford, who won Best in Division, Cultural. Discussion commenced regarding last-minute Cherokee Art Market booth set up and other pre-show arrangements. All artists scheduled to participate in the booth agreed to split the booth fee. James McGirk proposed starting a blog for the association using WordPress and a one-time $69 template for the site. Callie Chunestudy motioned to allow. Roy Boney 2nded the motion. Also be watching for the launch of a new and expanded seiaa.org website! Thanks to James and Amy McGirk for being willing to take the reins for a long-needed task! Our next meeting will be held at Bobby Martin’s 7 Springs Studio at 6:30 November 5. We’ll be having a pot luck supper and print party. Come ready to make some art! If you need a map to the studio, let me know and I can send one.